When my skin is in need of a reboot, the first thing I reach for is a face mask. Whether I’m looking to purify, comfort or re-hydrate my complexion, I know that a face mask will provide me with a quick and easy 10 minute solution! 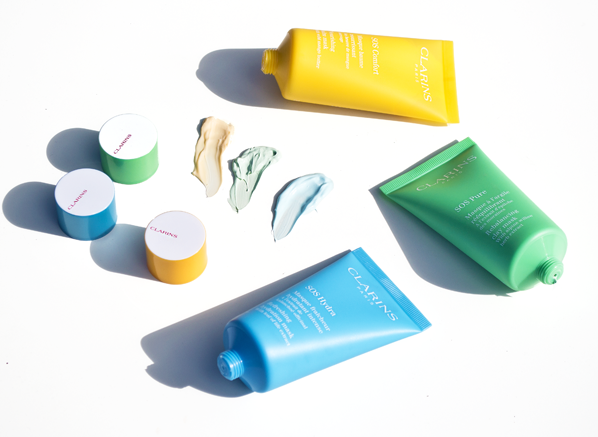 Clarins also understand the importance of having a good face mask in every skincare routine and have released 3 intensive, plant-extract based SOS masks, which meet the needs of every skin type. Not only do these face masks have Instagram-worthy packaging, their also packed full of skin-enhancing formulas and pampering textures. 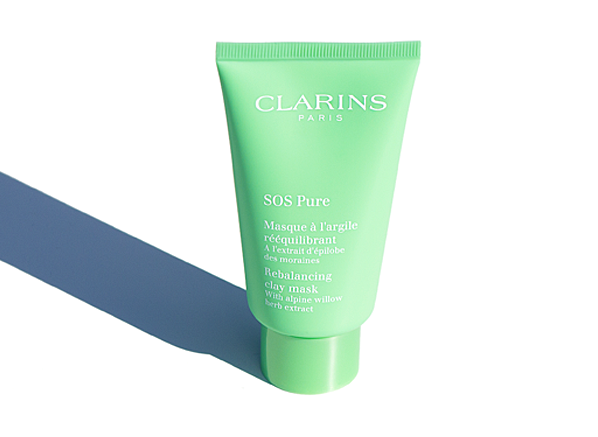 If you’re looking to detoxify or decongest the skin, look no further than the Clarins SOS Pure Face Mask. Made with organic willow herb and plant ingredients, the white and green clay-based treatment mask will help to purify the complexion, whilst tackling excess sebum, irritation and enlarged pores. A must-have for oily to combination skin types, the light green mask has a fresh, pure scent and an absorbent, powdery cream-paste texture that feels refreshing on application. 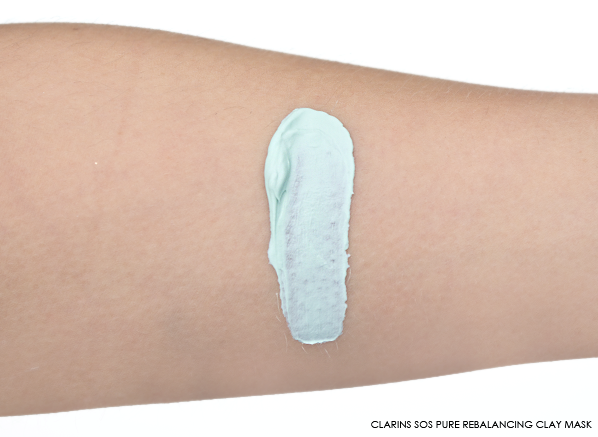 After using the Clarins SOS Pure Face Mask skin feels purified, mattified and pores will appear reduced. Tip: Rinse off with cold water to maximise the pore-tightening effect. Thirsty skin? 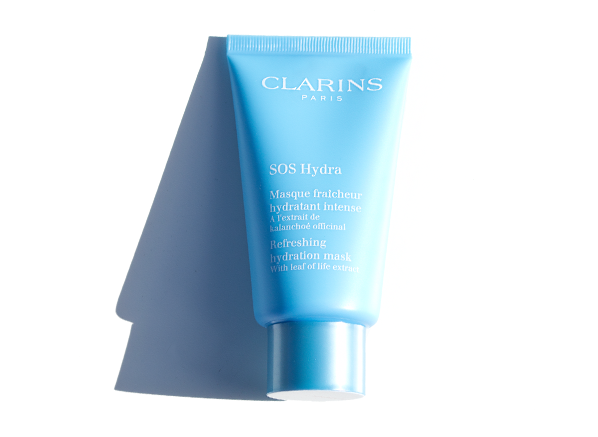 The Clarins SOS Hydra is the one for you. 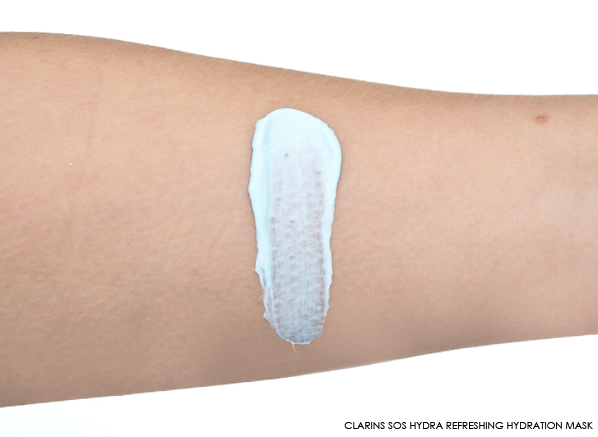 This light blue face mask is all about, yes you guessed it: hydration. The ultra-refreshing formula is designed to help skin find its ideal moisture level in just 10 minutes! Perfect for all skin types suffering from dehydration (yes, all skin can suffer from temporary dehydration every once in a while), the quenching face mask will help to not only restore hydration but radiance too. The gel-cream formula is ultra cooling, melting into the skin and creating a plumping effect thanks to added hyaluronic acid, a complex that helps the skin’s surface retain water. The revitalising formula also contains kiwi fruit extract, which contains an extraordinary number of vitamins, including the highest levels of vitamins C & E found in any fruit. Tip: Keep the face mask in the fridge for an extra cooling effect. 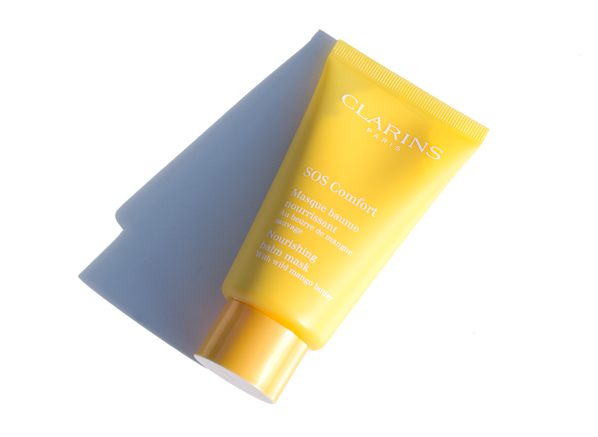 If your skin is dry and uncomfortable the Clarins SOS Comfort Face Mask will bring you instant relief. For this kind-to-skin formula, Clarins has combined the smoothness of an ultra-rich cream with the lightness of a nourishing oil to bring skin maximum comfort and softness. Made to soothe and nourish even the driest skin, the face mask will reinforce the skin’s protective barrier, so that skin is better able to protect itself. Packed with goodness, the balm mask contains an array of plant extracts, rich in fatty acids to plump and moisturise the skin, as well as mango oil and kernel butter, which provide long-lasting hydration and comfort. 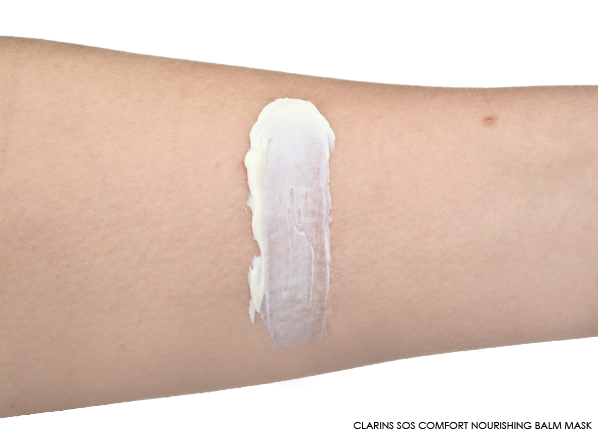 After every use, the SOS Comfort Face Mask will make skin breathe a sigh of relief. Tip: For maximum absorption of your face mask, apply overnight. This entry was posted on Friday, August 4th, 2017 at 9:30 am and is filed under Hints & Tips, New products, Skincare, Skincare Edit, Swatches. You can follow any responses to this entry through the RSS 2.0 feed. You can skip to the end and leave a response. Pinging is currently not allowed. I want them all, even although my skin might not require that!